About John15.Rocks - John15 Rocks! John15.Rocks Center is a non-government organization of Christian volunteers established in 2017. The J15 Ministry began as a neighborhood youth Bible Study in Cavite and have since branched out into campus ministry. “John 15” is a direct reference to the book of John, Chapter 15. We are driven by its theme, which is to “Bear Fruit” through Christ. We promote values formation through social media and the John 15 Rocks School Club. We hope to be part of a counterculture that will equip generation Z to be responsible, respectful to authority, and God-fearing citizens that contribute to a better Philippines. 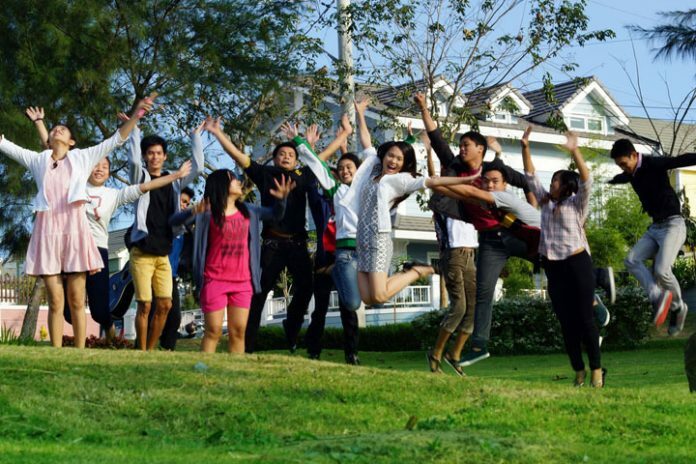 The J15 Ministry began as a neighborhood youth Bible Study in Cavite and have since branched out into campus ministry. 1. Internet & Social Media – Promote values that encourage godliness & faithfulness, obedience to authority, Filipino values, and love for the country. It has three main categories: Filipino Values, Biblical Morals, and Counseling. 2. School Club – We connect students to John 15 School Club and mentor them using DepEd recognized Life at the Crossroads (LATC) curriculum, seminars, and retreat. About LATC: Life at the Crossroads (LATC) is a weekly discussion about youth issues. It covers relationship, character, sexuality in perspective, life skills, and navigating the future. LATC is recognized by the Quezon City DepEd Division for Values & Alternative Learning System. We believe that salvation, the forgiveness of sins, impartation of a new nature and eternal life, is a free gift from God. This gift is received when a person trusts in Jesus Christ to be his only Savior and Lord. It is given by God’s grace and cannot be earned by man through good works, baptism, church membership or any other means. (References: Romans 6:23; Ephesians 2:8-9; John 14:6; John 1:12; Titus 3:5; Galatians 3:26; Romans 5:1). If you have the heart to reach students, you can help through volunteer work in Cavite, Pasay, and Makati areas or donate online to help finance mobilization.